On June 30, 2018, Toy Story Land opened to the public at Disney’s Hollywood Studios garnering long lines and lots of excitement. 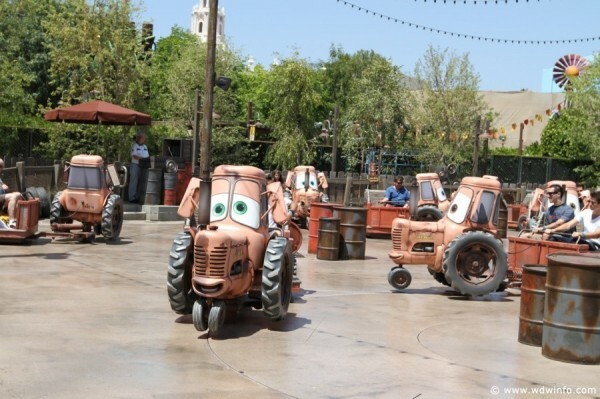 Almost 6 years ago another Pixar themed land opened on the other side of the country at Disney California Adventure — Cars Land. So, let’s break it down, which land is better!?! 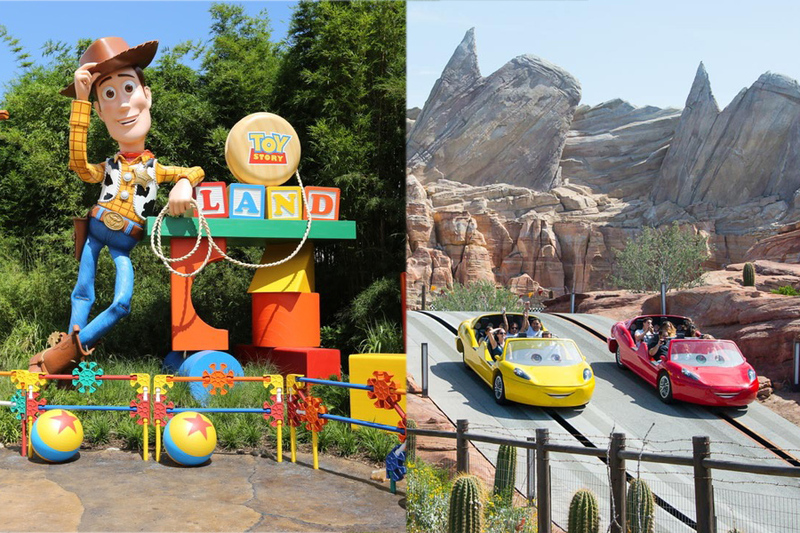 Both Slinky Dog Dash and Radiator Springs Racers are the must-do attractions in each land. They both have their own merits, and choosing a winner shouldn’t disparage the other. 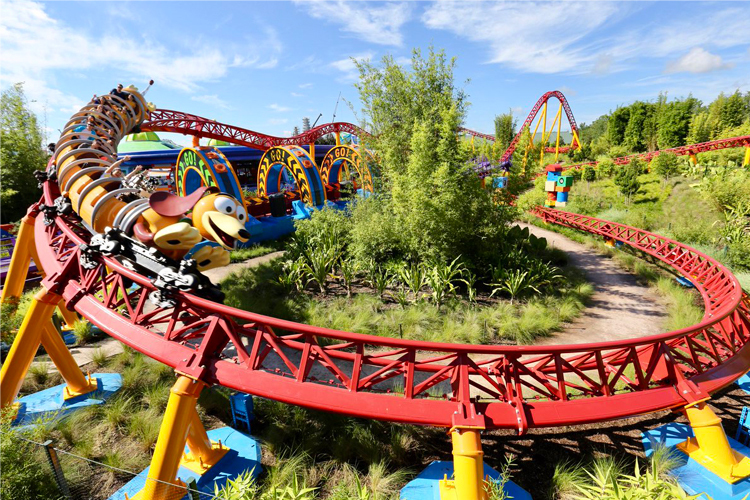 Slinky Dog Dash is a fun family coaster, which launches guests twice into thrilling curves and drops. The ride was much longer than I was anticipating, and some of the drops are more intense than a typical family coaster. The coaster is very smooth. Often roller coasters give me headaches, but Slinky Dog Dash is so smooth that I felt perfectly fine after the ride was over. The problem with Slinky Dog Dash is that it is not very immersive. Yes, there are giant versions of the Toy Story toys including Jessie, Rex, Wheezy, and Mr. Mike, but the ride offers vantage points that take you out of Andy’s backyard. In addition to the rest of Toy Story Land, on Slinky Dog Dash, you also notice the Star Wars: Galaxy’s Edge construction, backstage areas, and other sections of Disney’s Hollywood Studios, which take you out of feeling immersed by the land. Radiator Springs Racers is a high speed simulated race, but before you get to the racing portion of the ride you slowly drive through the picturesque Ornament Valley, meet Mater and Lightning McQueen, and either have your tires changed by Luigi’s Casa Della Tires or have your car painted at Ramone’s House of Body Art, after that Doc Hudson hypes you up for your race! 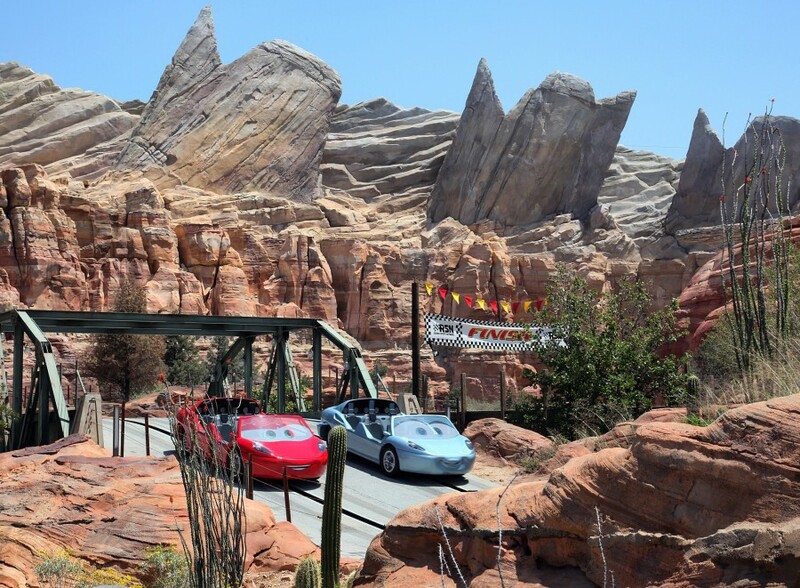 Radiator Springs Racers perfectly blends thrills with detailed theming. Throughout the entire ride, you feel part of the story. Radiator Springs Racers proved that audio-animatronics are still one of the best ways to construct an immersive attraction, instead of the increasingly popular use of 3-D screens. There really isn’t a lot to criticize when evaluating Radiator Springs Racers, but if I must think of something I guess I’d just say that I wish it was a longer. Admittedly this isn’t even really a fair criticism because it is 4 minutes and 22 seconds long, which isn’t even that short of a ride. This was an uphill battle for Slinky Dog Dash because Radiator Springs Racers is probably one of the best five attractions in any domestic Disney theme park. 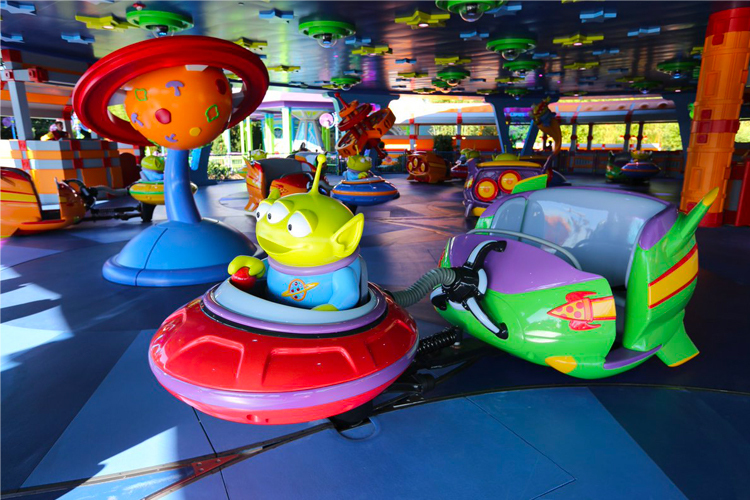 When Disney released the concept artwork for Alien Swirling Saucers many in the Disney community immediately recognized that this attraction would essentially be the exact same ride system as Mater’s Junkyard Jamboree. As it turns out that speculation was spot on. Both Alien Swirling Saucers and Mater’s Junkyard Jamboree are whip style spinning rides. The differences between the two attractions really come down the minutiae. Even the ride times are about the same, at about 90 seconds long. Choosing between these two is a personal preference. Some can argue they like Mater’s singing and joking, but others like the disco lighting and vibrant colors of Alien Swirling Saucers. I really couldn’t choose between the two because they are so similar. 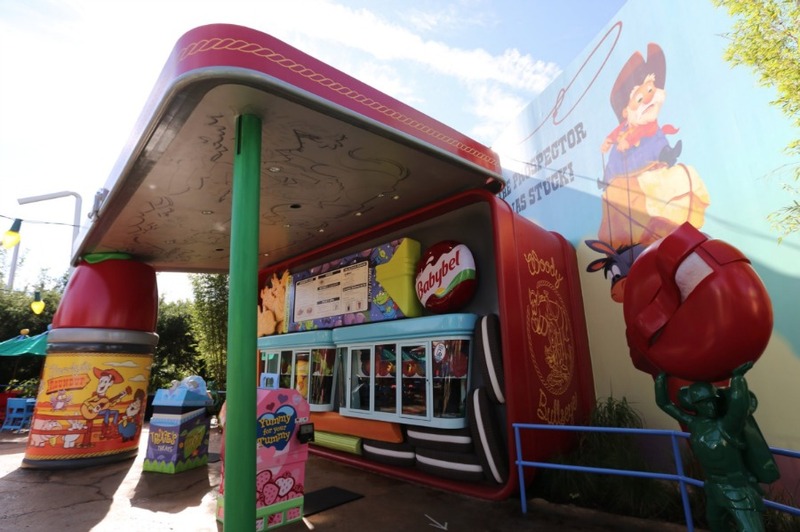 Woody’s Lunch Box features classic sandwiches and snacks, while the route-66 inspired Flo’s V8 Café features American comfort foods! Both are great options in their respective parks, but which is better? Woody’s Lunch Box was a great addition to Disney’s Hollywood Studios, which lacked a decent quick service option. 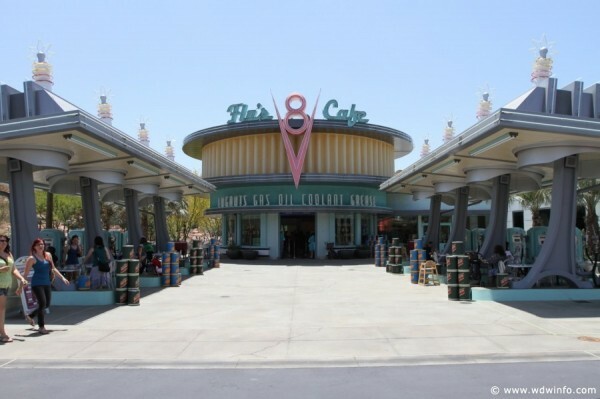 Flo’s V8 Café is also great, but it is in a park that features several other great quick service locations. I’d rate the quality of the food about the same, but one the huge advantages that Flo’s V8 Café has over Woody’s Lunch Box is that it has inside seating options. Being able to escape in the air conditioning is the perfect mid-day break. On top of that, the outdoor seating that Woody’s Lunch Box does have is limited, making it difficult to find a place to eat after you get your food. While it might be a few years older Cars Land, is the better land. While Toy Story Land is cute and a great area for young families to enjoy, it isn’t as immersive, and well themed as Cars Land. Cars Land is Disney Imagineering at their best, and while they did a good job with Toy Story Land it isn’t as breathtaking as Cars Land. I don’t want this to take anything away for Toy Story Land. There are a lot of Disney theme park lands that would have a hard time competing with Cars Land.